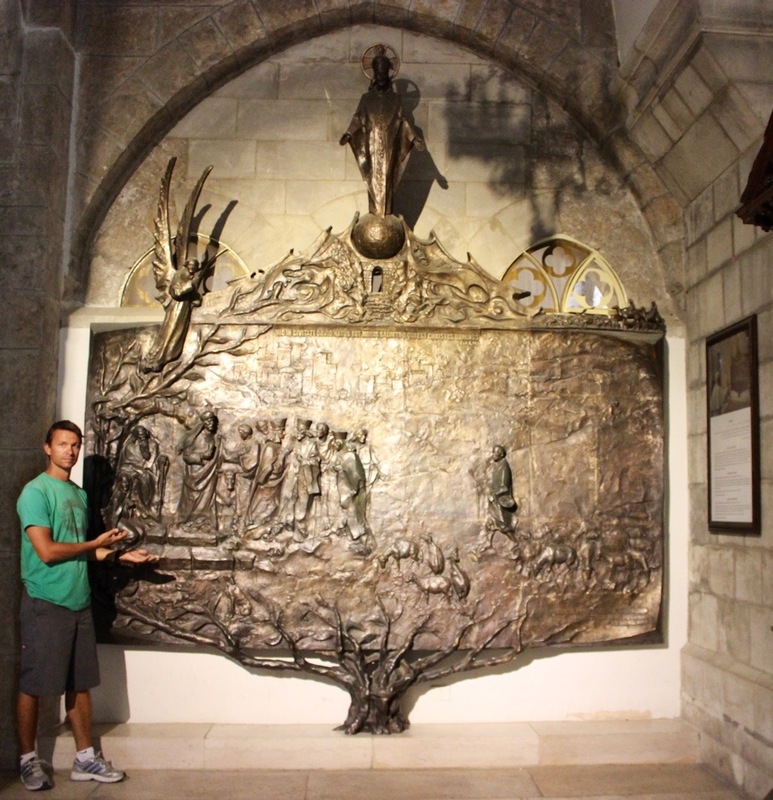 The bas-relief (a type of sculpture) of the Tree of Jesse is a large work given as a gift by Pope Benedict XVI during his trip to the Holy Land in 2009. 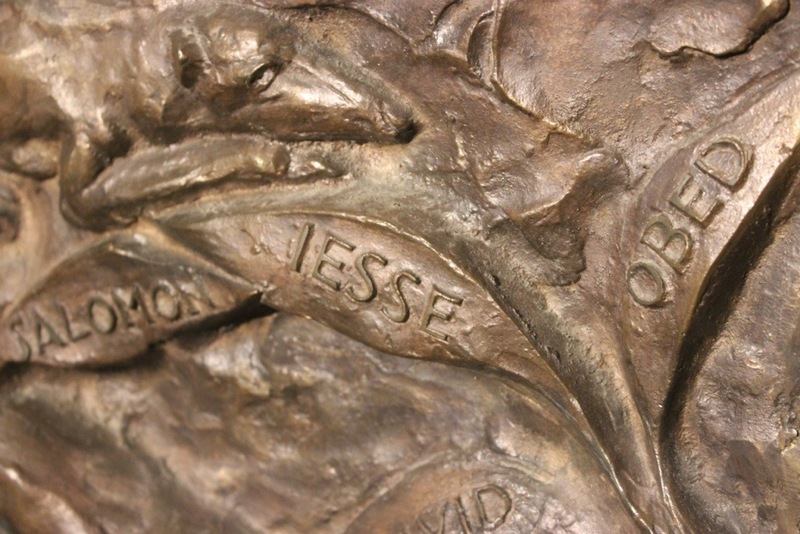 The main part of the work represents an olive tree as the Tree of Jesse. It displays Christ’s lineage from Abraham through St. Joseph. 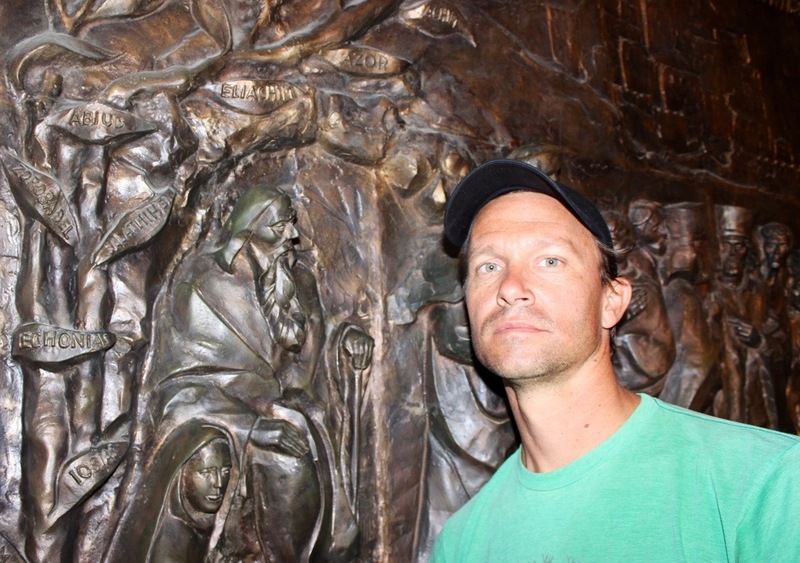 It is placed along the path used by pilgrims making their way to the spot where Jesus was born. 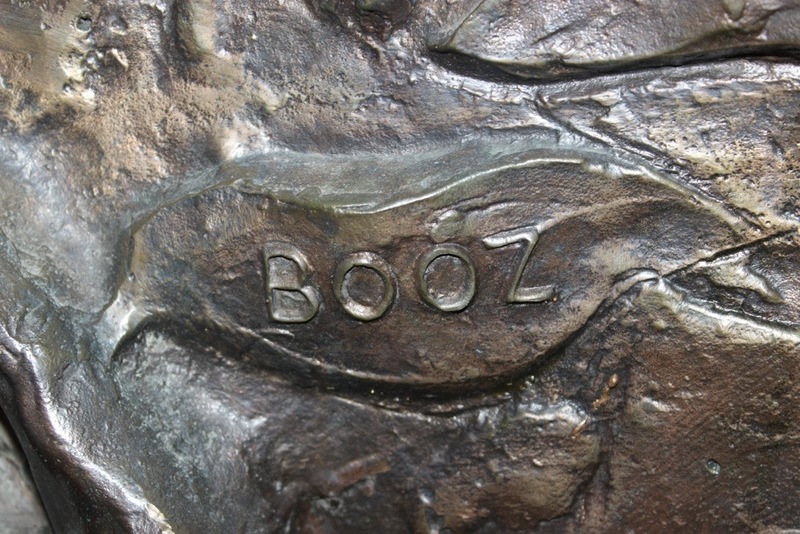 The piece also incorporates symbolism from the Old Testament. You can see JC at the top with his arms open wide blessing the Earth. Of course we needed to get pictures of Jesse standing next to another Jesse! A guide walking by, told us that Jesse was a very good, strong person who helped his fellow man- I guess they have something in common! 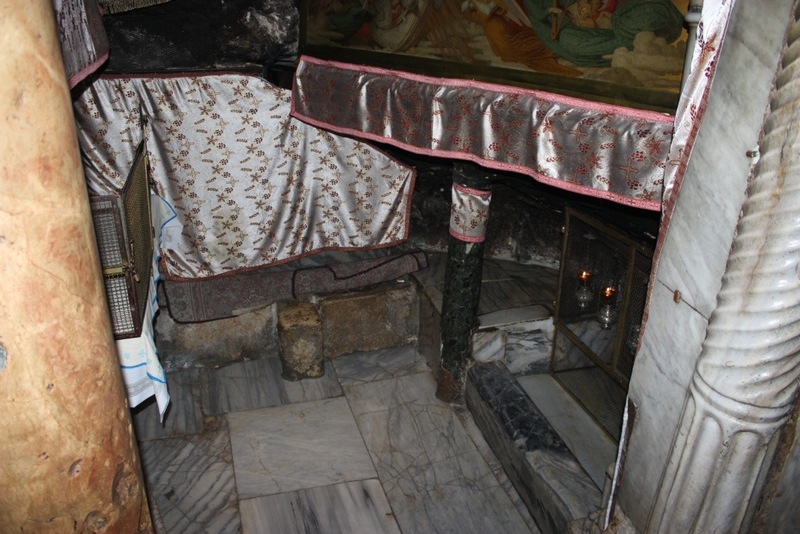 The Grotto of the Nativity is an underground cave located beneath the basilica. 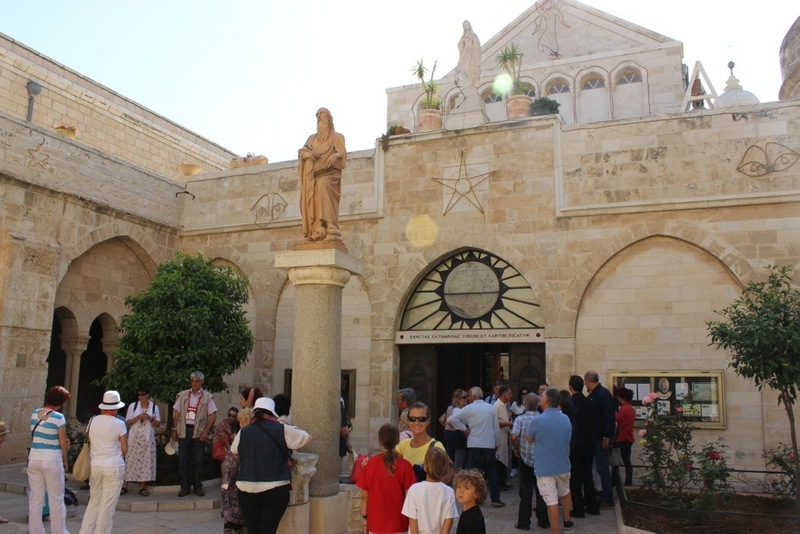 It encloses the location where Jesus is said to have been born. 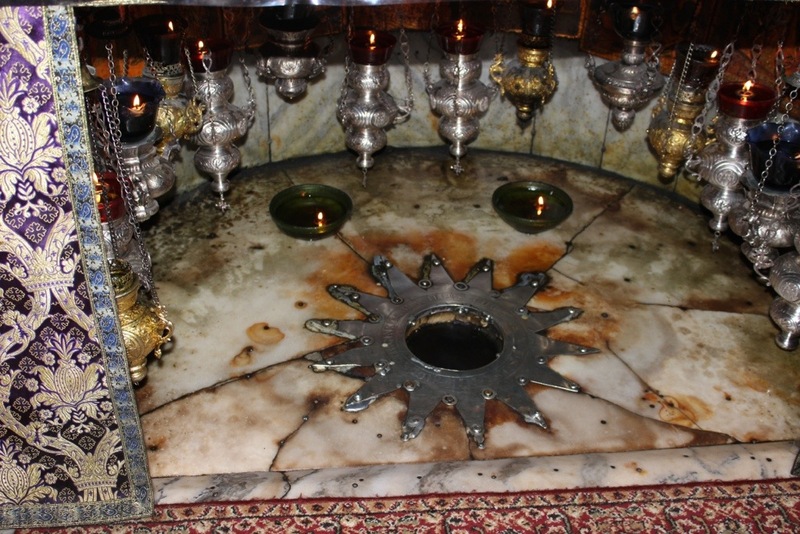 The exact spot is marked beneath an altar by a 14-point silver star set into the marble floor. 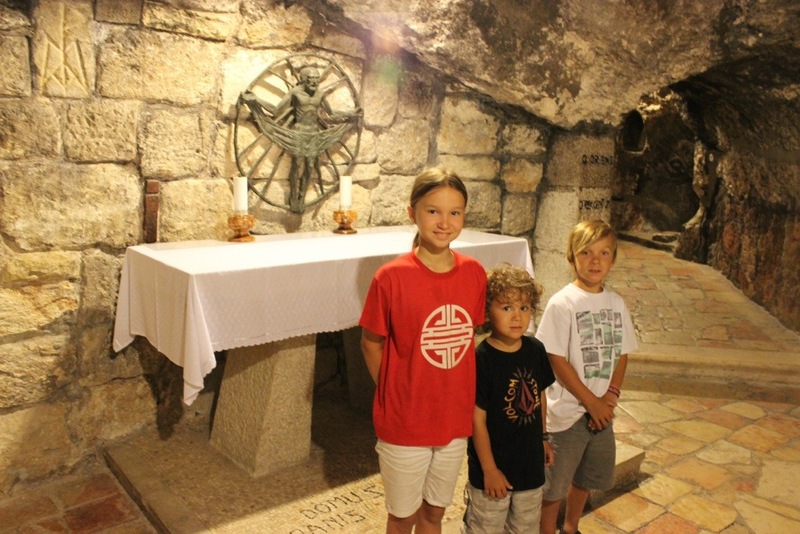 Another altar in the Grotto marks the site where Mary laid Baby Jesus in the manger. Getting down to this spot was no small feat! Our strategy was to walk fast and not make eye contact with anybody. Always pretend like you know exactly where you’re going! 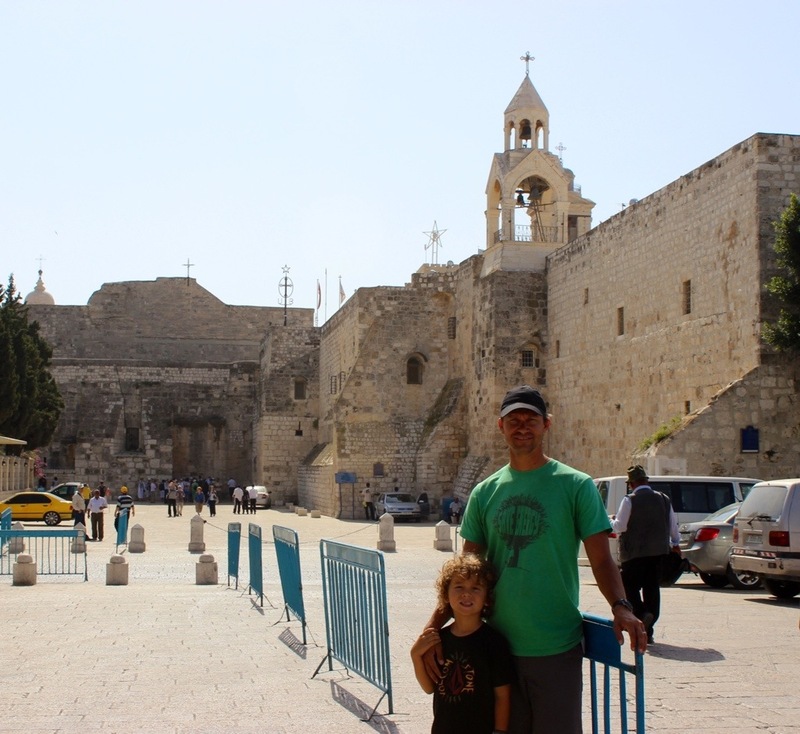 These photos were taken at the Church of the Nativity and the adjoining church called Saint Catherine’s. 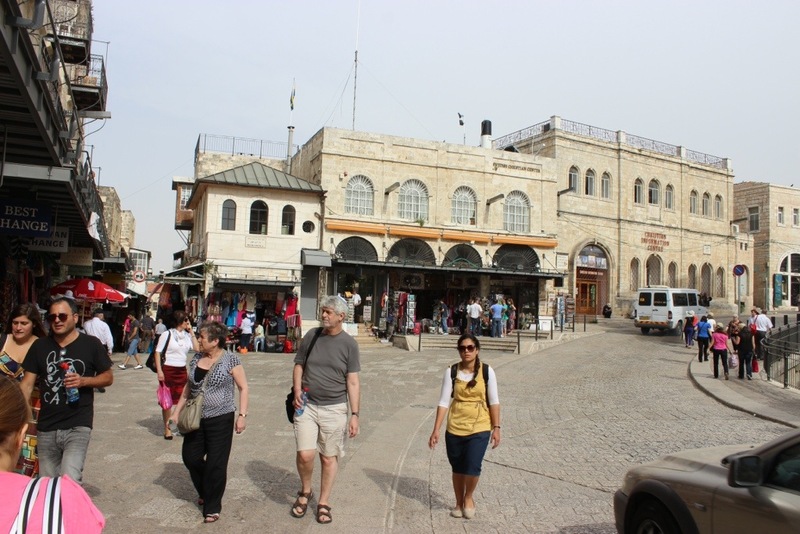 The first photo is of a Bethlehem street where we got some killer falafel! 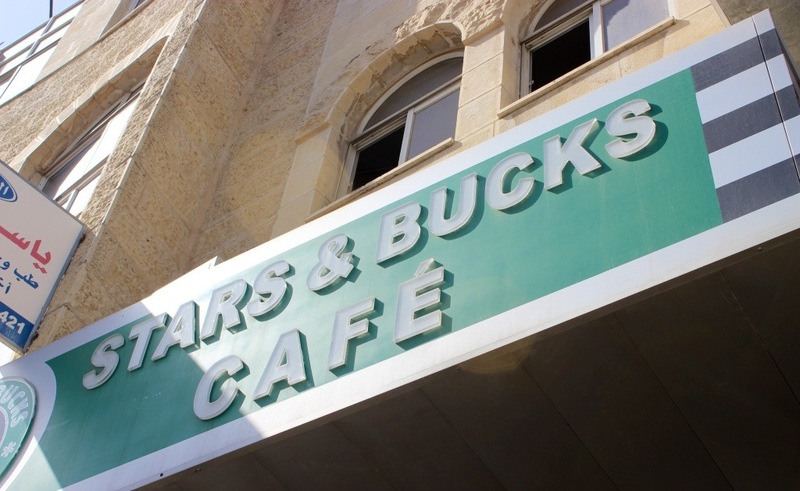 It is located in Bethlehem, West Bank (Palestinian territory) and it is the official birthplace of Jesus. 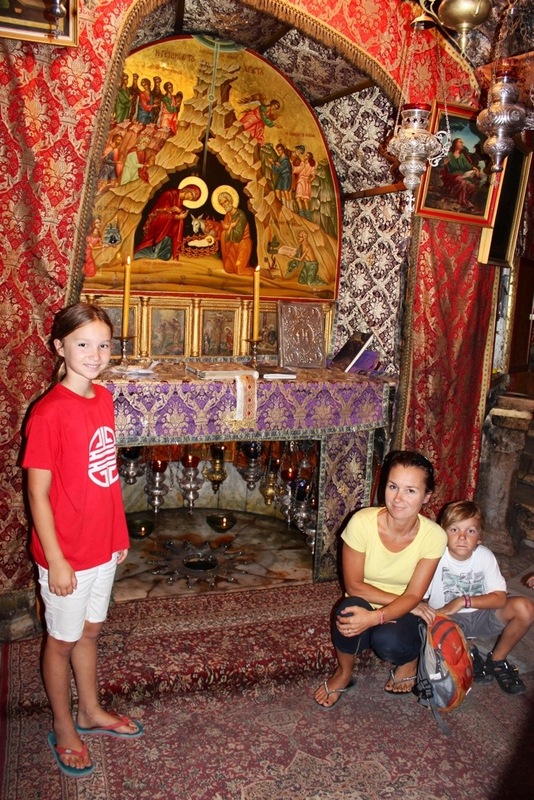 The church was originally commissioned in 327 AD by Constantine and his mother Helena over the site that is still traditionally considered to be located over the cave that marks the place JC was born. 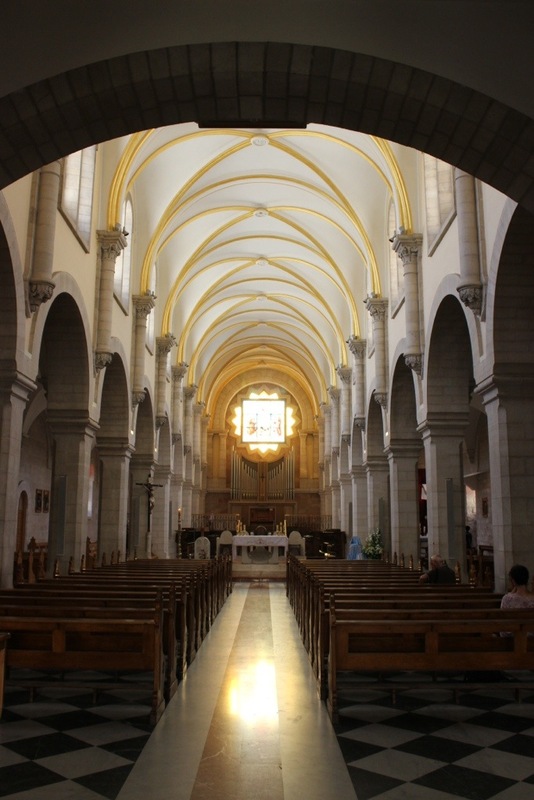 The Church of the Nativity site’s original basilica was completed in 339 AD and destroyed by fire during in the sixth century AD. 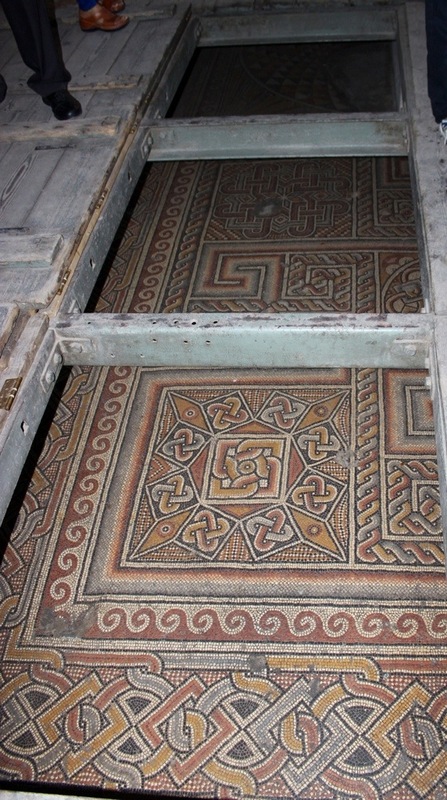 A new basilica was built in 565 AD by the Byzantine Empire. Because of it’s location- it holds a prominent religious significance to both Christians and Muslims.